Watchword: versatility. 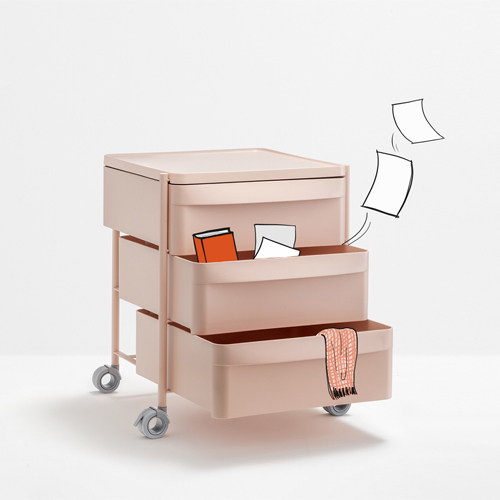 The chest of drawers creates an alternation between tops and drawers, which allows to the same object to assume different configurations. 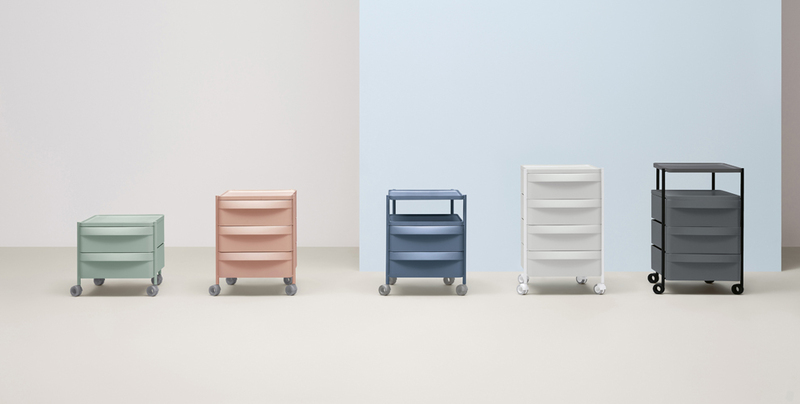 Characterized by a rounded design, the particularity is the handle that is perfectly integrated with the geometry of the polypropylene printed drawer. Not strictly designed for the office, it also fits well in the domestic space, thanks to its minimal taste that makes it a trendy product. 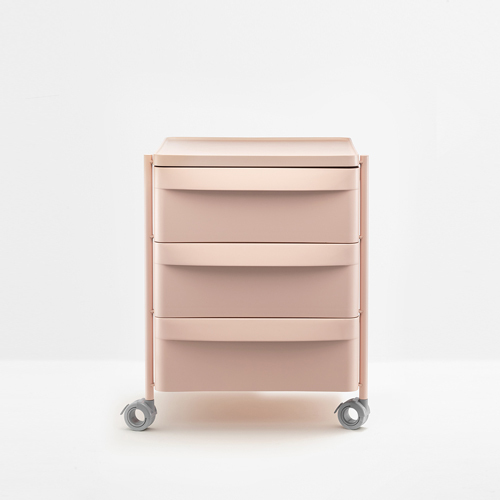 Boxie is one of the products that Pedrali, starting from 2018, used to make its entrance in the world of the office.